Joseph Nicolar’s The Life and Traditions of the Red Man tells the story of his people from the first moments of creation to the earliest arrivals and eventual settlement of Europeans. Self-published by Nicolar in 1893, this is one of the few sustained narratives in English composed by a member of an Eastern Algonquian-speaking people during the nineteenth century. At a time when Native Americans’ ability to exist as Natives was imperiled, Nicolar wrote his book in an urgent effort to pass on Penobscot cultural heritage to subsequent generations of the tribe and to reclaim Native Americans’ right to self-representation. This extraordinary work weaves together stories of Penobscot history, precontact material culture, feats of shamanism, and ancient prophecies about the coming of the white man. 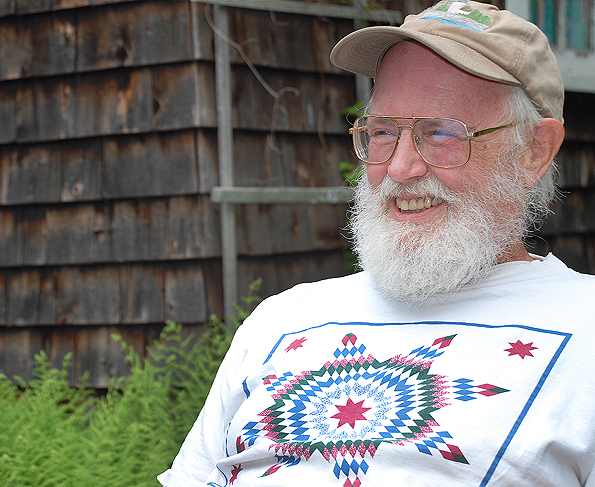 An elder of the Penobscot Nation in Maine and the grandson of the Penobscots’ most famous shaman-leader, Old John Neptune, Nicolar brought to his task a wealth of traditional knowledge. The Life and Traditions of the Red Man has not been widely available until now, largely because Nicolar passed away just a few months after the printing of the book was completed, and shortly afterwards most of the few hundred copies that had been printed were lost in a fire. This edition has been prepared with the assistance of Nicolar’s descendants and members of the Penobscot Nation. “As a Penobscot Tribal Elder, I belong to a small but proud American Indian Nation with an illustrious history. My ancestors have lived in Maine, the Land of the Dawn, since the beginning of time. “This is why our people, together with other northeastern Algonquians are known as Wabanaki – People of the Dawn. With our territories traditionally reaching to the Atlantic coast, we were among the first to encounter early European explorers almost 500 years ago. “We governed ourselves long before the French and British laid claim to our homelands, making it necessary for our ancestors to sacrifice blood in defensive wars too many to recount. “My grandfather Joseph Nicolar – 4th-generation descendent from Chief Joseph Orono who pledged his support to George Washington in the American Revolutionary War – was tribal representative to the Maine State Legislature for many years. It includes a summary history of the tribe; an introduction that illuminates the book’s narrative strategies, the aims of its author, and its key themes; and annotations providing historical context and explaining unfamiliar words and phrases. The book also contains a preface by Nicolar’s grandson, Charles Norman Shay, and an afterword by Bonnie D. Newsom, former Director of the Penobscot Nation’s Department of Cultural and Historic Preservation. The Life and Traditions of the Red Man is a remarkable narrative of Native American culture, spirituality, and literary daring. “Life and Traditions of Joseph Nicolar” as read by Charles Norman Shay. This is a companion video to the book “Life and Traditions of the Red Man” by Joseph Nicolar.